(Medeshi) - Somalia has started again interfering in Somaliland affairs. The Somali PM declared in a press release yesterday that the Berbera/DPWorld / Ethiopia agreement is illegal and void. The agreement was signed last week between the republic of Somaliland , Ethiopia and DPWorld of Dubai. The Somali PM's statement is a declaration of war. The Somali government which controls a small part of Mogadishu is engaged in rhetoric although it is weak and doesn’t match the might of Somaliland politically and militarily. Somalia should stop interfering in Somaliland internal affairs. Somalia has no authority over Berbera port. The agreement signed with DPWorld and Ethiopia concerns Somaliland and the signing parties only. Somaliland and Somalia are two different countries and Somalia should realise that. Somaliland took independence from the United Kingdom in June 26, 1960 while Somalia became independent from Italy in July 1, 1960. The two countries formed a union in July 1, 1960. In October 21, 1969, a socialist government lead by M. Siyad Barre took over the country. Corruption , nepotism and tribalism soon flourished in most parts of the country. The war between Ethiopia and Somalia in 1977 created a rift among the ranks of the military. As a result, the Somali National Movement (SNM) was formed as an armed struggle against the brutal rule of Siyad Barre and the military junta. 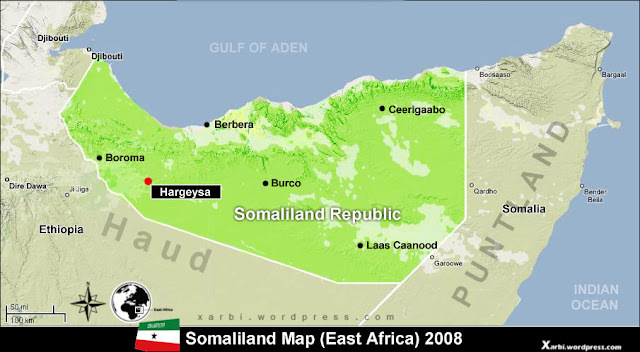 Somaliland seceded from Somalia in May 18, 1991 after the failed union with Somalia.